Richard has been working in the finance industry since 1993. In February 2000 he started Zenith Finance to make smarter business finance plans accessible and easy-to-understand for small and medium sized Australian companies. 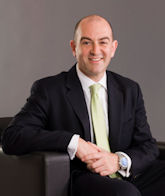 Since then, Richard has arranged over 4000 commercial finance transactions. There’s nothing he’d rather be doing than helping Australian business owners get the right financing they need to reach their goals and dreams. Contact Richard on 1300 288 874.